It take a while for this MG Fantasy to really get going, but this is first class worldbuilding. Here begins the tale of Daja, Briar, Tris, and Sandry, four children brought to Winding Circle Temple for training in crafts and magic. They are outcasts in their homeland. But in this magical place, they are valued and respected for their special powers. 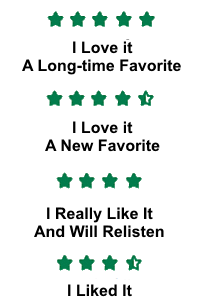 Source: I purchased this book myself from Audible. It is also available on mp3 CD (and you may be able to find other formats for sale used). The is #1 of 4 in the "Circle of Magic" series. All 4 are available on audio. 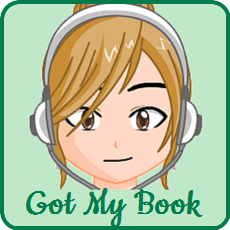 (There is a follow-up series that also has 4 books, and several additional books as well. Only a some of them are available as audiobooks). 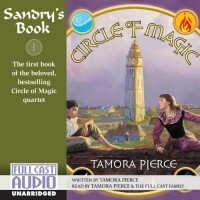 This is my favorite of the various Tamora Pierce series and worlds. I love the way it is about a disparate group of kids who are each alone and must learn how to be more. 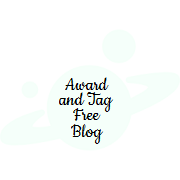 I have tagged this with Diversity since the series includes characters from a very diverse group of nations, races & cultures, religions (fictional), and socio-economic backgrounds (from homeless to near royalty). And there is a nice mix; it isn't just black & white, there are many shades of brown in between. We also have characters of different body types & sizes, as well as one who needs glasses. Sandry: A child of the nobility. She has traveled widely and is accustomed to lots of different cultures and lifestyles. Tris: A daughter of a prominent merchant house. She has firmly middle-class attitudes towards those both above and "below" her, as well as a distrust of Traders. Daja: A Trader. They are a fiercely insular group that look on everyone else as "outsiders." Briar: A former streetrat & member of a thieves gang. He too has been exposed to people from many cultures, but has rarely seen any good in humanity. They have all been subjected to bullying in some form or another and yet, except for Sandry, they are each scornful of other who are different than themselves. She wants desperately for them to be a new family, but they don't want anything to do with it. Each of the children also has an adult mentor/teacher who instructs them in the use of their magic. They are Lark, Nico, Frostpine & Rosethorn. All of them are interesting individuals who don't blend into the background, but are fully dimensional. We also have many different ways of being & using magic. And it is not just things like one having magic with metal and another with plants. There is also a difference between these types of innate magic and more academic magic as well. The beginning was very choppy as she did several rounds of jumping from child to child until they all come together in one place. I found it distracting and was very confused as to the time line until I had read it a couple of times. I would have preferred if she just started with Sandry and we got the other origin stories as flashbacks once they met. From what I have been able to figure out, this is the timeline: Sandry has been in Winding Circle for 10 weeks, Tris has been there 6-8, Daja 2, and Briar 3 days when everything begins to come together. Nico was delayed in getting to Daja by his encounter with Tris. It is still a bit scattered once they are all together, since they each have to discover their magic and find their mentor. It really begins as they all go to the market together. It ends well with a couple of sweet scenes and no cliffhanger. CAUTIONS : All of the children are essentially orphans and have experienced significant trauma (including for some, seeing the bodies of their families). Since this is a MG book, the consequences of that are acknowledged but not dwelt on extensively. This is a full cast production, with different people playing each of the main characters. They use actual children to read the main parts. (It is interesting to hear them grow up as the series progresses, and they did have to change some actors before the final one). Tamora herself acts as narrator, and does a wonderful job. At one point someone says "Magic Circle" instead of "Winding Circle," but that was the only error I noted. I find the music to be distracting. 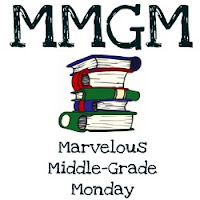 What is your favorite MG "magic school" book/series?